The Ninety series by Ox Denmarq consists of a range of coffee tables that are particularly eye-catching in every living area thanks to their solid marble tops. 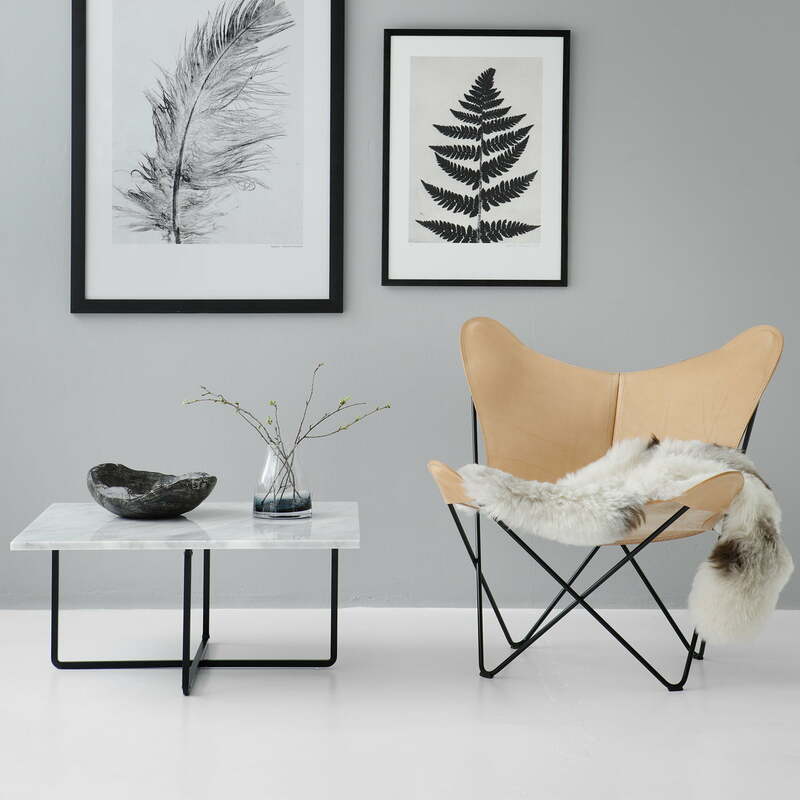 Available in three different sizes and different colours, the Ox Denmarq coffee table looks stylish in the private sitting room as well as in modern hotels and trendy restaurants. 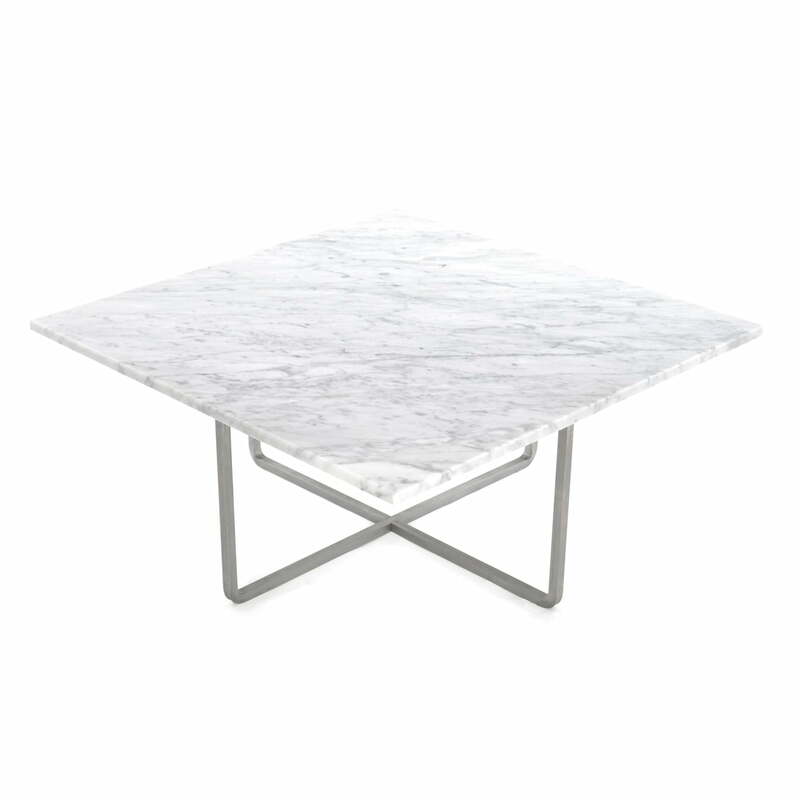 The Ninety coffee table consists of a massive rectangular marble slab, which is optionally available in various colours. The frame consists of interconnected bars made of brass, steel or stainless steel that run across the floor. The various combinations make the coffee table flexible, which either fits discreetly into the room or deliberately becomes an eye-catcher. The table is available in various sizes which can easily be combined with each other. Isolated product image of the Ninety coffee table with the dimensions 60 x 60 cm by Ox Denmarq. 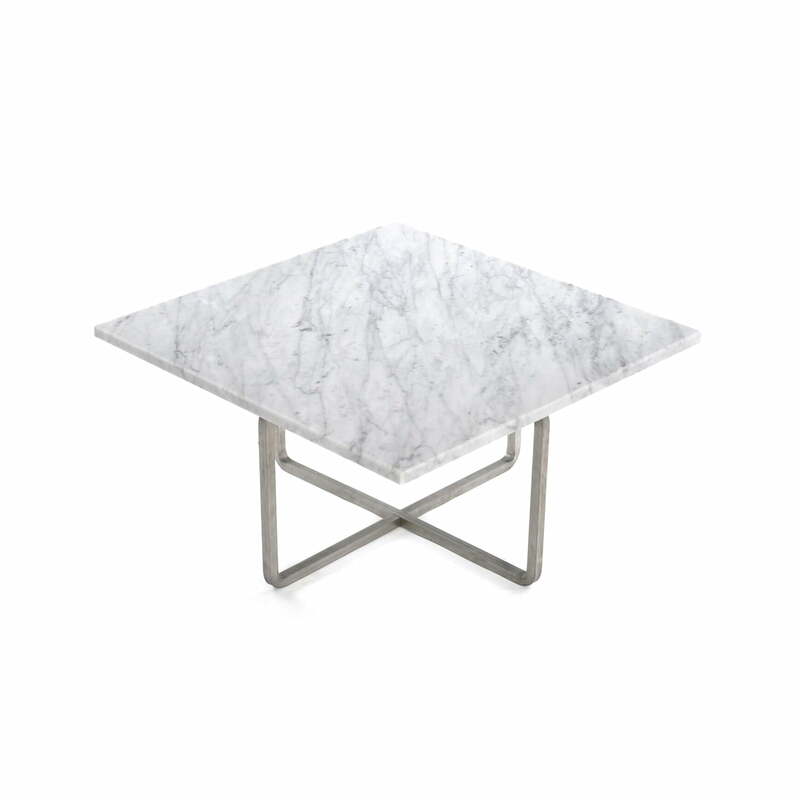 It consists of a frame made out of stainless steel while the tabletop is white marble. Isolated product image of the Ninety coffee table with the dimensions 80 x 80 cm by Ox Denmarq. It consists of a frame made out of stainless steel while the tabletop is white marble. 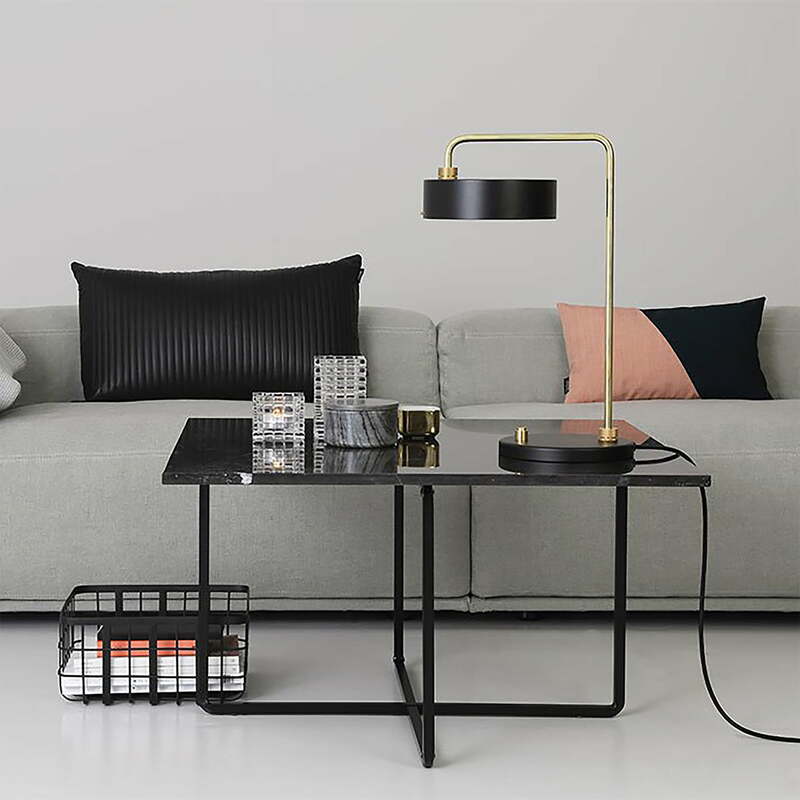 Lifestyle product image of the Ninety coffee table 80 x 80 cm by Ox Denmarq in black steel / black marble. The table is an eye catcher in front of the sofa in the living room.